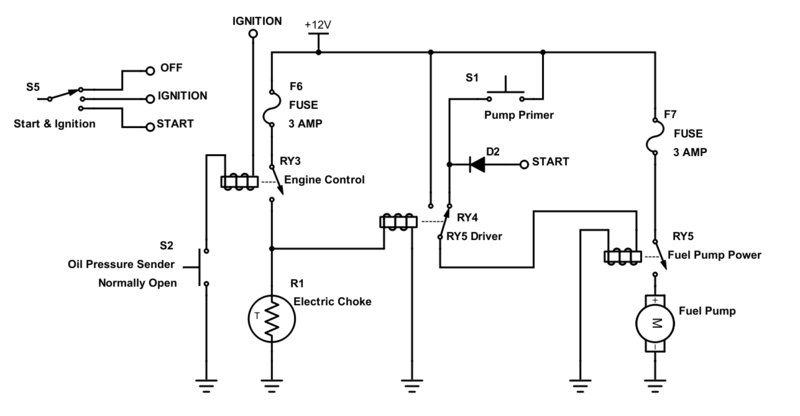 This part of the PDM encompasses 3 circuits: Fuel Pump/Choke controller, Ignition and Charging. As a reminder, here are the 3 applicable section schematics. For the Dill Blox modules, I needed the following: Qty 1 of 3-Position ISO Micro Relay module (P/N 59189), Qty 1 of 4-Position ATO/ATC fuse module (P/N 59112) and Qty 1 of 2-Position ISO Mini Relay module (P/N 59188). 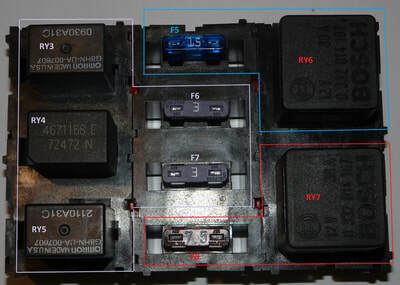 Just like in Part 1 I inserted my component parts into the Dill Blox modules for visual reference.